Don’t limit yourself to only the resources available within your organisation when planning an event! 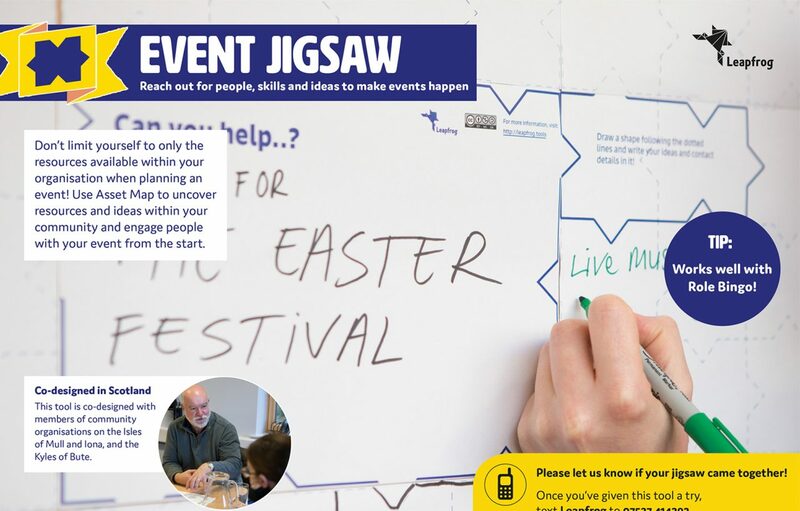 Use Asset Map to uncover resources and ideas within your community and engage people with your event from the start. Asset map helps by finding resources in a community that can contribute to making events a success. It’s helps to find skills, talents and ideas in an inclusive and fun way. Write your idea in the centre of the asset map, put the asset map in a public place and people can write what they can contribute or their ideas around the map. Asset map was co-​designed with members of community organisations on the Isles of Mull and Iona, and the Kyles of Bute.